Real estate in Puerto Rico offers something for everyone. You can find opportunities for real estate investment in developed and undeveloped land with beach access and waterfront. If you are looking for a second home, a primary residence or a place to get away for a break, you may choose from a diverse selection of homes and cottages. For those wishing to work the land you may be successful in finding a farm or plantations that will meet your needs across the island. At the end of last year the Governor of Puerto Rico, Luis Fortuno provided another extension for the Puerto Rico Real Estate incentive program (“Property Stimulus Act”), originally introduced in September of 2010. With the program’s extension the Governor is underlining his endorsement for a program that allows families to acquire their own homes while also serving to develop increased strength in the local economy. It has been reported that since the programs’ initial introduction almost 2 years ago, as many as 27,000 properties with an estimated market value of $3.5 billion have been sold. Under the guidelines of the real estate incentive program, individuals purchasing new homes in Puerto Rico will receive: (1) A five-year property tax exemption (2) A 100% exemption on capital gains at the time of resale (3) 100% exemption on the fees stamps and vouchers Alternatively for those individuals and families that engage in a purchase transaction of an existing home; they will receive (1) A 50% exemption on fees stamps and vouchers as part of the transaction costs as well as (2) A 50% reduction in the taxable capital gains at the time of the property’s resale. For additional detail and information on this program contact a local professional real estate agent. There are many different options available including residential homes, waterfront properties, multi-family houses, townhomes, condos, farm properties, real estate on golf courses, commercial properties and land for sale. If seeking a rental property for vacation or longer term a variety of homes and condos as well as resort, hotels and tourist properties are available for rent, In Puerto Rico you have many options to choose from. For general sense of homes, pricing and investment, there are exclusive luxury apartments in Puerto Rico just a few steps away from La Fortaleza, the Governor’s mansion, and the El Morro National Park. Beautiful apartments such as these located anywhere else in the Caribbean would be fairly expensive. 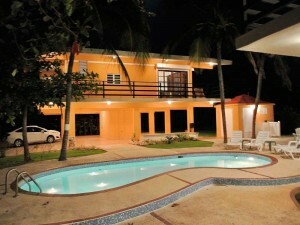 Here in Puerto Rico however these apartments are reasonably affordable and the prices are typically negotiable. Condos are also very popular. Located in the heart of Condado, you can find fully furnished condos with three bedrooms, a studio, crisp marble floors, a gym and round the clock security. These lavish island condos offer impressive sea views from any point in the unit. Choosing to purchase a condo is just one option. You may also consider buying a beachfront villa. Imagine your own luxurious single family home on a Puerto Rico beach or the purchase of your own beautiful and fully furnished villa in downtown San Juan. Offering something for everyone. From a lavishly expensive beachfront villa to a modestly small cottage, owning or renting property in Puerto Rico is like owning your own bit of paradise on earth! Visitors who arrive in this Caribbean island’s mysterious, hilly interiors, or come to explore its laid back coasts, will come across grand old hill towns where the locals seem to have been feeding the same pigeons in the plaza for decades. There are coral reefs where sea divers can discover more than 30 different species of fish in about as many minutes. Puerto Rico has more than four centuries of Caribbean Spanish culture that comes face to face with American mall culture of today. Somehow, this leads to a rather unique combination of sorts – fountains and freeways, plazas and parking lots, shanties and skyscrapers – but everything here blends with the diverse history of the Caribbean. The official currency here is the U.S. Dollar, but ‘peso’ is the local term that is frequently used. Most major credit cards and traveler’s checks are readily accepted all over the island. You should note that cash is the preferred means of exchange in many of the rural areas. WIth regards to employment and industry on the island, manufacturing has largely replaced agriculture as the most significant contributor to the economy. From the 1940’s onward many large U.S. firms have been attracted to the island due to tax exemptions. This has included the electronics, apparel, and pharmaceutical industries as well as the manufacturing of chemicals, plastics, machinery, and oil refining. Raising livestock has surpassed the growth of sugarcane as the principal agricultural occupation. Tobacco, coffee, fruits and vegetables are the other leading crops. The tourism and real estate markets have also been growing significantly and are very important factors in the economy. If a break on your favorite island for a week or so is just not enough for you, If you plan to make Puerto Rico a more permanent residence, then remember that the real estate is varied and affordable. From a luxury beach property to tiny cottages, this beautiful Caribbean Island offers some unique real estate investment opportunities. If you like the action of the casinos, then Puerto Rico has several that are famous for their Old World charm. By law, every casino in Puerto Rico has to be in a hotel, and the dress code is generally formal. If you like sport fishing, then Puerto Rico will definitely draw you. 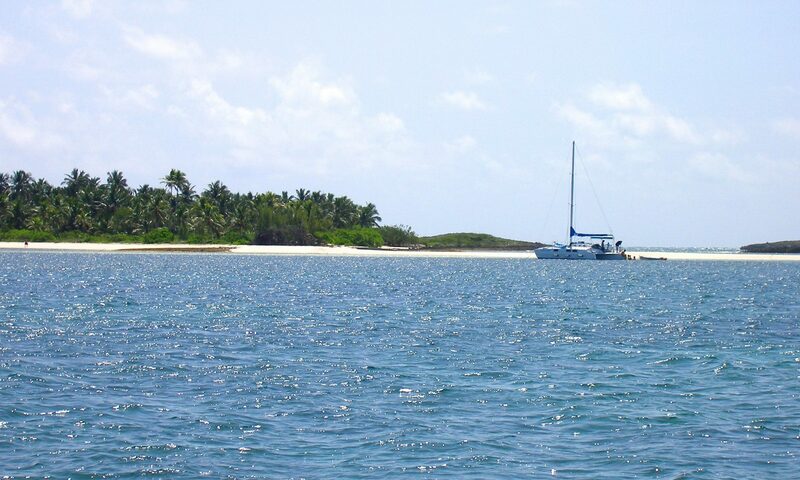 With deep waters surrounding the island, you can hire a fishing boat and spend the day out on the waters. The beautiful views of Puerto Rico will add to your fishing experience. While in Puerto Rico, don’t forget to go golfing! There are some excellent golf courses on the island. In addition to all this, you can also go on some of the sightseeing tours. And, if you are the adventurous type, then Puerto Rico offers some of the finest scuba diving and snorkeling opportunities in all the Caribbean islands. Old San Juan is lined with restaurants and bars. Salsa music throbbing out of jukeboxes in low-rate pool parlors competes with the mellow Latin jazz that is played in top-notch nightspots. The evenings in Puerto Rico start off with dinner and extend into the wee hours at some of the more upscale bars. Well-dressed locals and tourists often socialize in the lobby bars of glitzy hotels, most of which have live entertainment and bands in the evenings. A diverse crowd of people heads towards the Plaza del Mercado after work to relax over food and drinks. Ocean Park and Condado have their own share of nightlife too. There are also seaside open-air eateries that are famous among the locals. On weekends, most places have reggae bands, Brazilian jazz trios, or Merengue combos. Nevertheless, wherever you are planning to go, always make sure that you are dressed to impress. Puerto Ricans are fashionable, and both the men as well as the women love to dress up when going out. The bars are generally casual, but if you are planning on wearing a T-shirt teamed with jeans and sneakers, then you might not be allowed to enter up-market nightclubs and discos. On the Caribbean Island of Puerto Rico, there are only mild variations in climate with temperatures that average between 80-85°F during the summer and 75-80°F in winter. The great weather here attracts lots of Caribbean real estate investors. The tradewinds that blow in from the Atlantic Sea moderate the temperatures of the northern coastline. The mountain areas are much cooler. The hurricane season falls between May to November. Casual attire is acceptable, although you should refrain from wearing shorts at casinos or hotel dining rooms, where only formal dress is expected. Puerto Rico is a Caribbean island that is situated between the North Atlantic Ocean and the Caribbean Sea. It lies east of the Dominican Republic and southeast of Miami, Florida. The international airlines that run daily flights to and from Puerto Rico are American Trans Air, Iberia, Martinair, Northwest Airlines, American Airlines, Argentina Airlines, LACSA, and Mexicana. The main airport in Puerto Rico is the Luis Muñoz Marín airport, which is 14 km from San Juan. If you wish to travel by sea, then the main port is in San Juan. Some domestic flights within Puerto Rico are operated by Vieques Air-Link and American Eagle. In Puerto Rico, the traffic drives on the right. Taxi service is efficient and operates in most towns at a standard rate. There are special tourist taxis that charge fixed prices for travel between the airport and various tourist sites. Car rental companies are available at most city agencies and the airport. The local buses in Puerto Rico are also efficient, but do not operate after 9 p.m. In addition, there are coach buses that provide sightseeing tours. When Christopher Columbus landed on Guánica (or Aguadilla) in the year 1493, he discovered a thriving Taíno culture here. Within the next few decades the Taíno Indians had all disappeared, but somehow they left their mark behind on the land that was yet to become the Caribbean Island of Puerto Rico. African slaves replaced the Taíno Indians, and their traditions were also lost in the cultural jumble that was forged by over four hundred years of Spanish supremacy. The Institute of Puerto Rico Culture has a symbol that reflects the Indian, Spanish, and African influences. In truth, this is an imprecise ethnic fusion, but culture and history are hard to explain. Puerto Rican history is vast. From the Chinese workers who built all the railroads to the Spanish Patriots who fled the revolution in South America, and from the Corsicans who occupied the coffee country on the island to the French immigrants from Louisiana and Haiti, all have left their mark. With the smattering of Irish and Scots and the droves of North Americans who came after the Spanish American War, all sorts of people have been part of Puerto Rican history. Puerto Rico is a Caribbean Island brimming over with beauty and magnificence. The surface of this island wears a metropolitan guise, which is akin to the metropolitan regions of the United States; but dig a little deeper and you will discover the real Puerto Rico, which is an interesting concoction of Taíno, Spanish and African cultures. Yet, somehow, it all unifies into a one-of-a-kind, fascinating culture. This interblending of cultures extends to the language, which is a charming mix of English, Spanish and “Amerindian”. The diversity of Puerto Rico’s culture extends to its cuisine as well! From the spicy but delectable Creole cuisine to juicy beef barbecues, food in Puerto Rico is diverse and absolutely delicious. There are a variety of tasty local dishes, like beef stew, Pastillas, mixed stew, and empanadillas. Puerto Rican cafes offer varieties of mouthwatering pastries, which are accompanied by the strong Puerto Rican coffee. The locals of this Caribbean Island don’t need an excuse to celebrate! And, when they do, the whole island is alive with cheer and festivity. Every town in Puerto Rico celebrates the Patrons Saints Day or the ‘Fiestas Patronales’. Another big cultural event is the San Juan’s Casal’s Festival, which draws musicians from all over. Music is the very essence of the island, and you’ll definitely hear it crooning in the background when you visit Puerto Rico. In the hotel, at the beach, on the streets – it’s everywhere! Actual Puerto Rican music is slow, sentimental and romantic, and it is completely different from salsa and rock.